Interested in writing tips and tools? Get started with the 6-Step Book Planner or scroll down for more. A staggering percentage of people have wanted to - or have at least thought about - writing a book. However, they seem to never get around to it. Usually, it’s really the self-doubt and fear that holds us back. Whatever the reason may be, it’s important to realize that writing books really isn’t that complicated when you have the right roadmap. There are many book writing programs out there to help you get the ball rolling on this relatively fast, and I’ll get to a few shortly. But first, let’s dive right into some actionable tips that will make writing a book a more smooth and painless process. Having fears about writing a book is actually very common. Maybe it’s because you don’t know where to start. Or, you don’t know how to structure a book. Or, it’s because the steps to getting published seem so daunting. However, one thing to keep in mind is not to get stuck in “analysis paralysis.” Don’t spend time too much time thinking and debating about how to start writing a book. Instead, just do some proper research and preparation, and you’ll find that you too can discover how to write a book with more ease and confidence. For some extra motivation and in-depth information when it comes to writing a book, I highly recommend you see my blog post, Why Should You Write a Book? (3 Reasons You Should, Even If You’re Not a Writer). There are many benefits that come from being a published author. Here’s why you should write your first book (and how to get started). 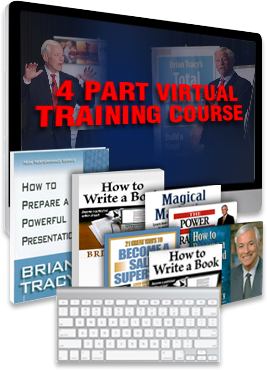 This course is a proven step-by-step system for taking what you already know and using skills you already possess to write a book and get it published. 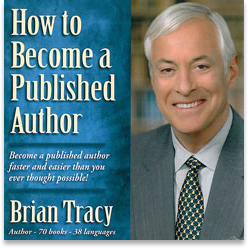 This is a "How-To" that gives you actual content for writing and publishing your book. Worth every penny!!! Maybe you have ambitions to write a book, but you’re short on ideas. I know that when I have good book writing ideas stirring around, I usually sit down with a blank piece of paper and lay out the entire book on paper without reference to any resource material. For some people, this is the easiest way. However, I understand that you may need to spend a little more time gathering the proper book writing ideas, and getting inspiration. 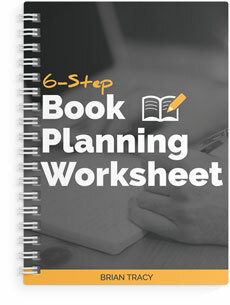 If that’s the case, I highly recommend starting with a simple book writing template, like the 6-Step Book Planning Worksheet I share with you at the top of this page. It’s a clear-cut, fill-in-the-blank worksheet that can get the ball rolling, help you clarify your thoughts and ideas, and get you in the right frame of mind before you put pen to paper. If you still feel pressed for ideas after going through my fill-in-the-blank worksheet, feel free to check out my blog, How to Start Your Book: Choosing a Winning Message. When you write a book, where do you start? I’ve written 72 books, and I publish 4 or 5 books a year with publishers worldwide, and this is the main question that I get asked. We can all be writers; all we have to do is learn how. 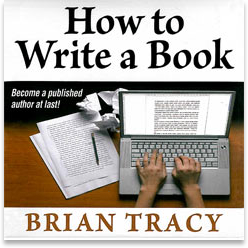 Check out “How to Write a Book” – the perfect introductory program for anyone considering writing a book. Get on the fast track to success with 74 minutes of audio - listen anywhere! This book or audio is a must read and listen for everyone who wants to learn and be an expert in writing a book. I learned more than I expected to – Brian shares his personal experience and acquired techniques for writing a book. It's nice play again and again. Craft your message first. This is one of the best creative writing exercises you can do, because you must know what message you want your book to convey before you start writing it. Save editing for the end - it’s one of the last steps to writing a book. Get all the information out of your head and onto paper first… you can always go back and edit later. Stay organized. Organize your material into seven, ten, twelve or twenty-one chapters, each following in a logical order, from beginning to end. Write often, even when you don’t want to. I recommend writing at least 1,000 words a day. For more ideas for keeping your brain in writing mode, check out my blog, 20 Great Tips to Crush Your Writer’s Block. Are you having trouble writing your first paragraph? Use these 20 tips from famous authors to overcome writer's block. Get everything you need to know to write and publish a book, based on your experience, knowledge and expertise — all in one place! 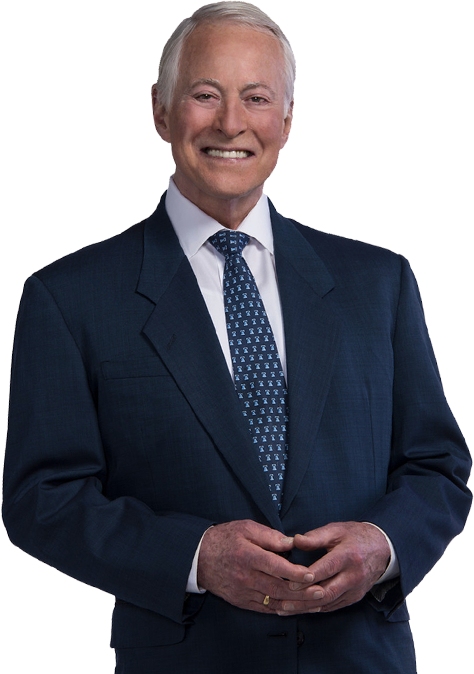 "For many years Brian’s teachings were a great blessing for me! Together with a friend I took this course. Afterwards, we wrote a book each. His book is now out at the Swedish market, and has booked some great speaking invitations. My book was published by the FIRST publisher that I sent it to in the U.S.!" Publishing a book can definitely be an intimidating and daunting task. However, I do have a few quick tips you can use, so you know how to publish a book when the time comes. First, you shouldn’t go out and rush to the first agent, and jump the gun when it comes to submitting proposals. That’s one of the biggest mistake you can make when it comes to publishing a book. Instead, I recommend nailing down your message first, and who your audience is, what your book will do for them, and who your competitors are. For more behind-the-scenes tips for publishing your book, check out my blog, Publishing a Book? 10 Questions You Must Be Able to Answer. Publishing a Book? 10 Questions You Must Be Able to Answer. The truth is, many books never get published simply because most people aren’t sure how to publish a book. I want to share with you the 10 most important questions a publisher will ask you about your book. 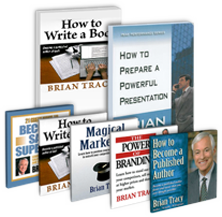 Become a published author faster and easier than you ever thought possible, with my instructional audio program.